To mark the celebration of the third year anniversary, GungHo will be granting players the opportunity to play the +297 Hera “Gift” Dungeon. The word Gift is misleading as it is a challenging dungeon to clear and Gift is only used to indicate that it is a one-time clear and has to be done in solo mode. DQXQ was a lot safer by comparison due to the less orb hungry nature of her leader skill. I could use the 16x ATK and TPA down the easy floors and only had to form rows starting at floor 5. It also helps that both leaders have a more impactful active skill. Will update when I play this dungeon. 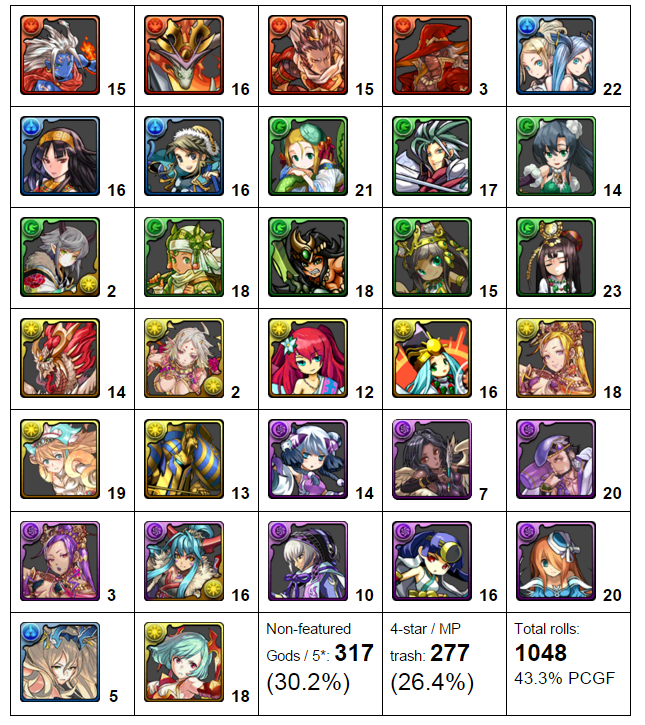 Myr is the default/easy choice but may try and use a different leader to showcase a more novel strategy. Reco’s clear using Myr. I also speculate she will be the easiest to use for this dungeon.